How many times have you spent hours in the grocery store looking for a treat and trying to avoid gluten, GMOs, corn syrup, MSG, yellow number everything (the list goes on and on)? Dang, you know it’s hard out there for a snacker! Well we are on a quest to fulfill your inner healthy snack urges! Recently, we were given the opportunity to entertain our taste buds with some samples from Christi Communications. (We weren’t paid in cash but instead in gluten free goodies!). 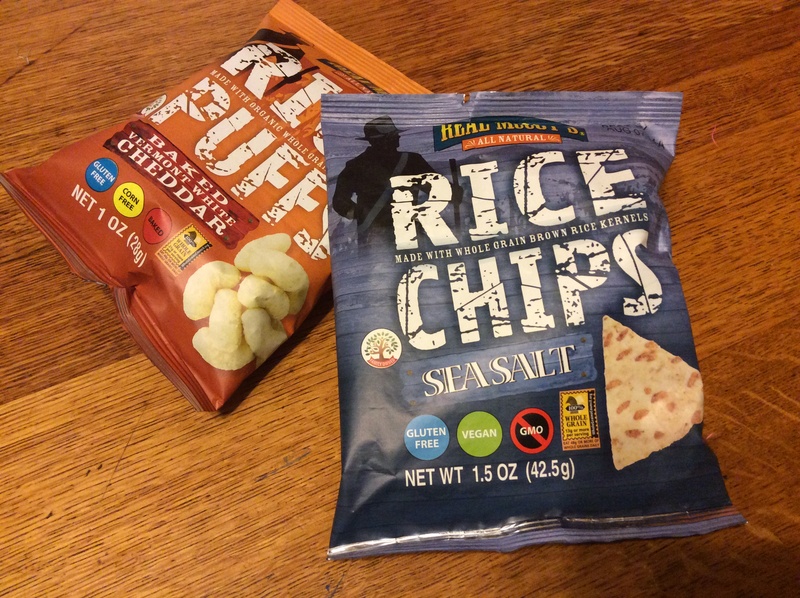 Our favorite bites were Real McCoy’s Rice Chips and Rice Puffs. We both eyed the Baked Vermont White Cheddar Rice Puffs first and gave each other an intense stare down as the bag rested in the middle of the table. 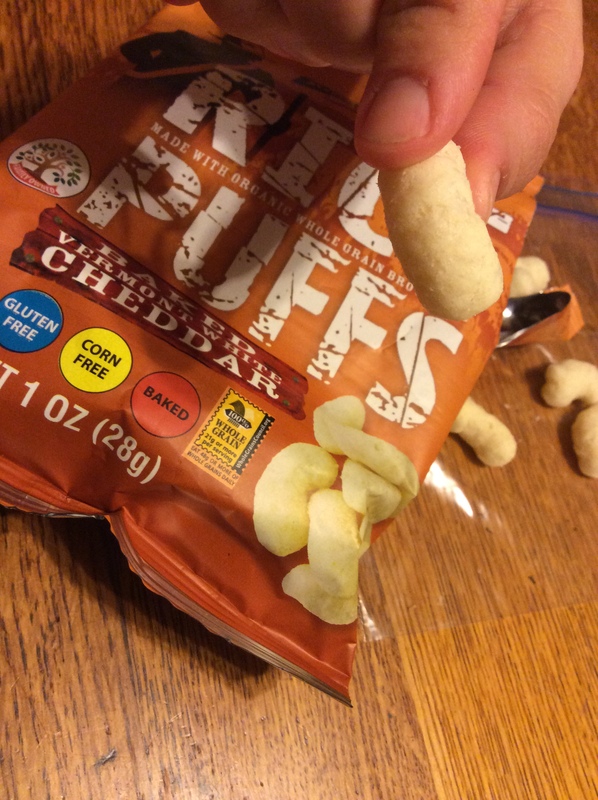 When we finally compromised to share them, we loved the airy crispy puffs with a dusting of light cheddar flavor. For more spice, try the Jalapeno Cheddar or Hatch Chile Rice Puffs. The Salt and Pepper crisps we tried were heartier and held up well when dipped in salsa and guac. Monica liked Real McCoy’s so much she went and snagged her own bag of Worchester & Chives Rice Crisps. 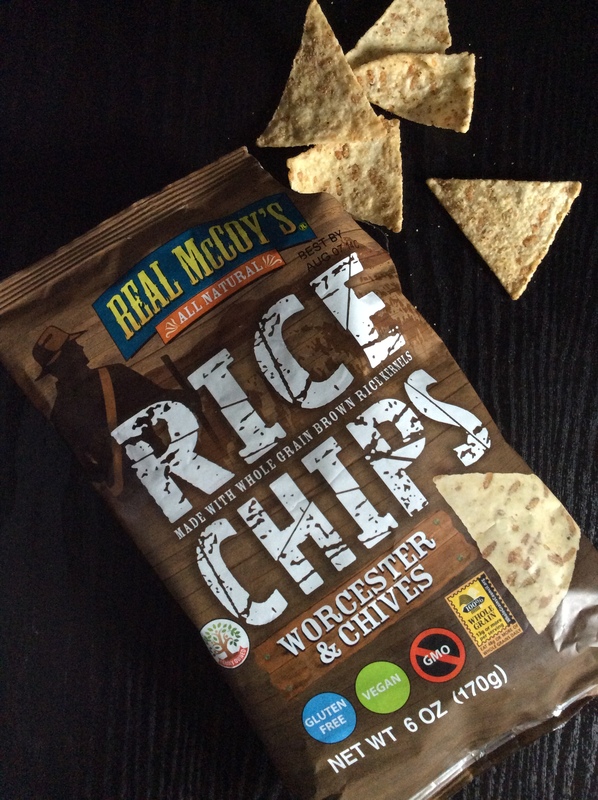 Real McCoy’s other offerings include Sweet & Spicy Rice Chips or try the Wheatberry (not gluten-free) Chips. Real McCoy’s is available at many natural grocery stores and continue to expand (even at Burlington Coat Factory or Home Goods) and is even sold on Amazon. And yes, they are GMO, gluten and guilt free :). Like their Facebook page here for more updates. Want to more gluten free goodies? Check out the Gluten & Allergen Free Expo in Schaumburg, IL next weekend!